As a German, it feels very strange how much playfulness is acceptable at places like Pearl Harbor. 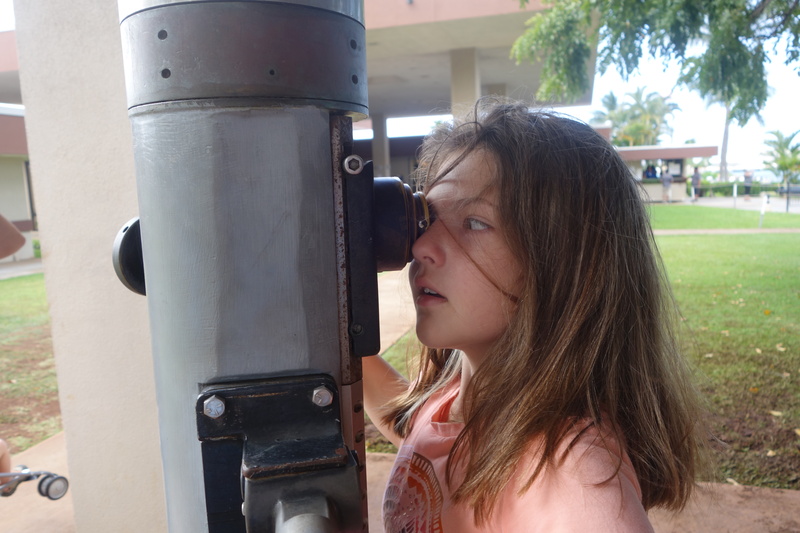 More than 2,400 people were killed here and you can see kids playing with old weapons and peeking through periscopes. Maybe it’s because the Military is much more part of the fabric of American life. 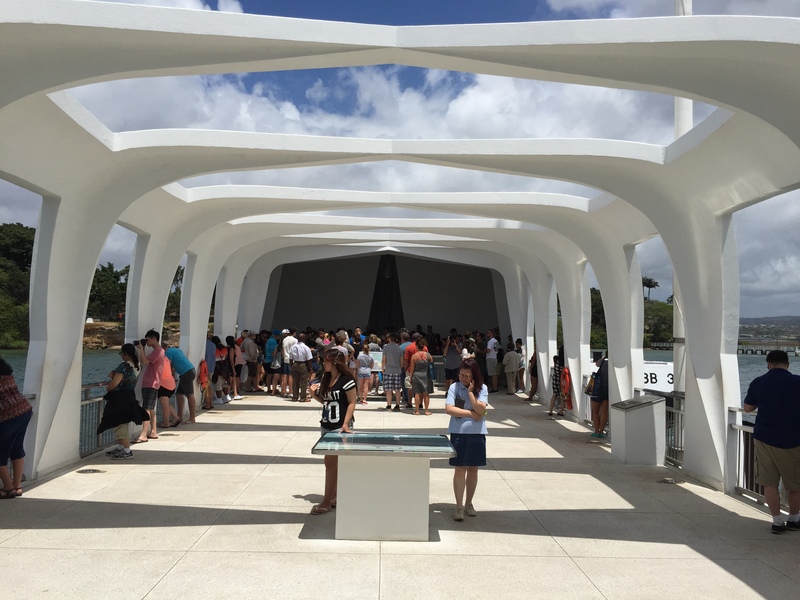 The architects/designers created a thoughtful monument of a war that divided two nations for years. Now those 2 nations are best friends and around 90% of the visitors come from the US and Japan. 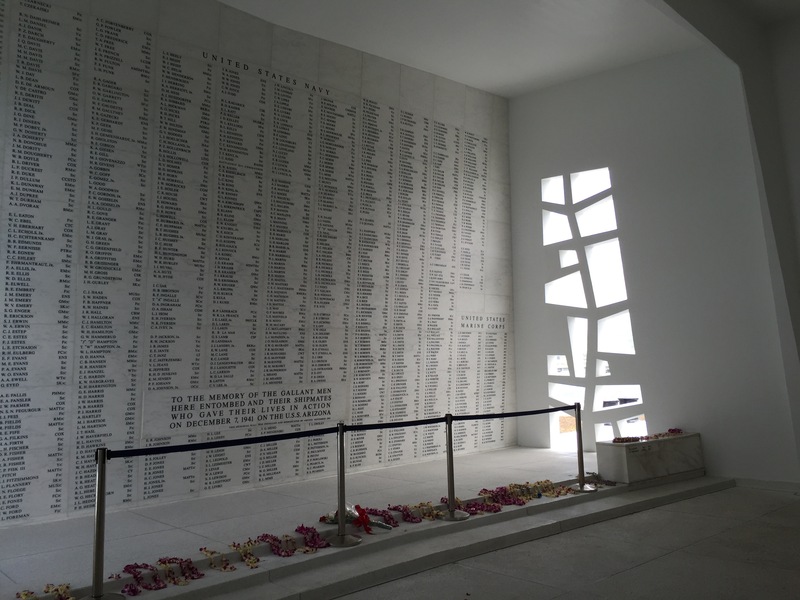 The video and plaques ensure that Japanese tourists feel they are part of the story, not just the enemy that killed thousands of people and was ultimately defeated by the Allies. 7 openings on three sides, representing the 21-gun salute. 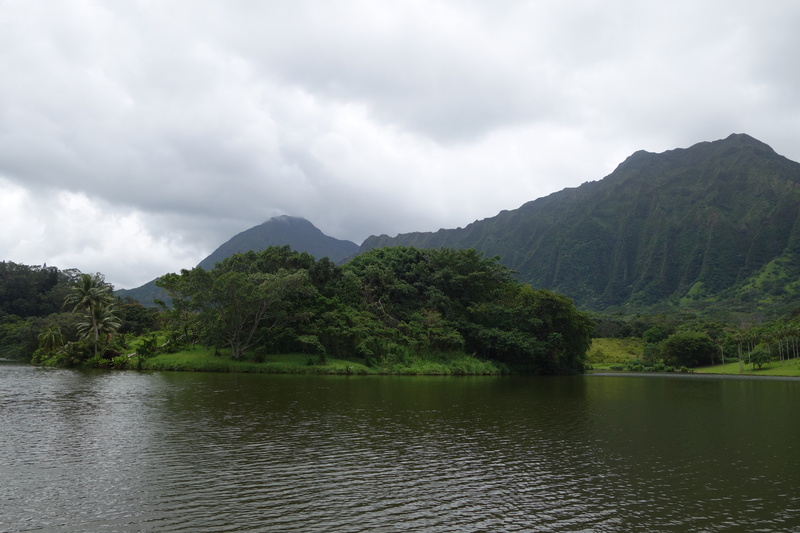 In the heart of Oahu, you can find a substantial Botanical Garden (400 acres): a lot of trails and as the main attraction a lake, including a section for catch and release fishing. 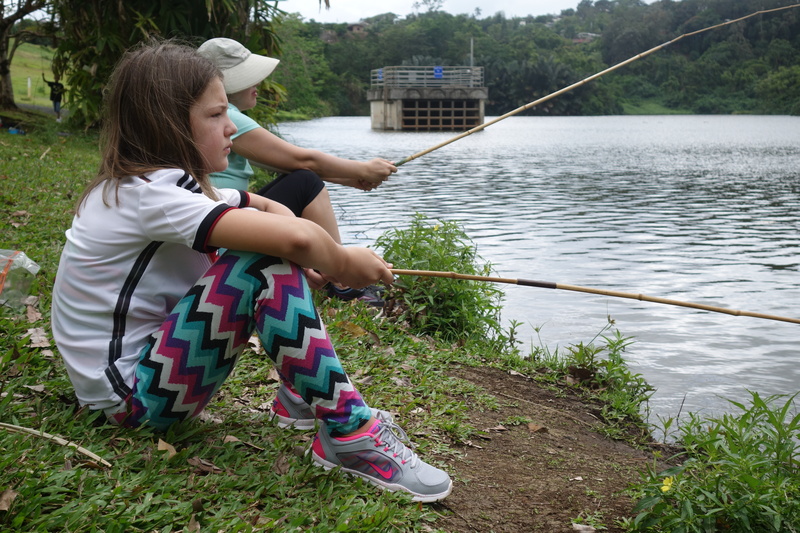 We spent a few hours catching 2.5 fishes. Not a bad way to spend a Sunday morning. 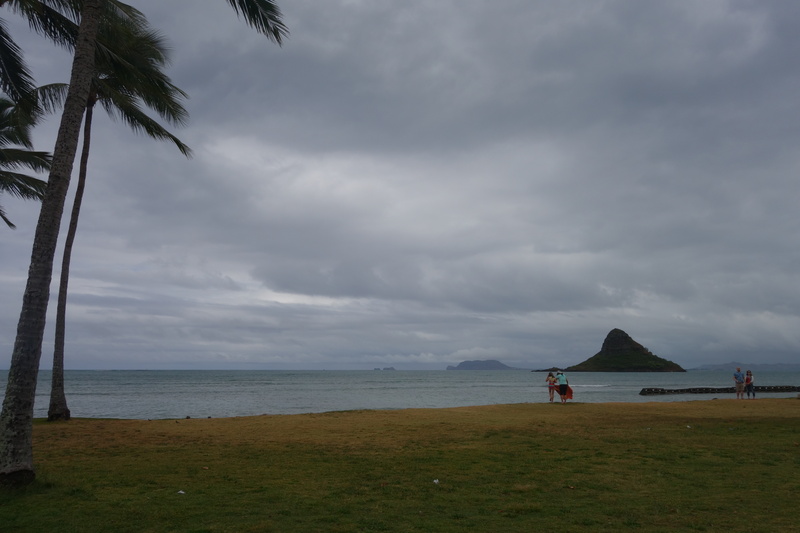 On the way home, we walked for an hour along the North Shore with Mokoli’i (Chinaman’s Hat) watching over us. One thing about the North Shore: a lot of rain, wind and weather. Unlike Kona, not many days with blue skies. Still, always 80 degrees. No reason to complain. 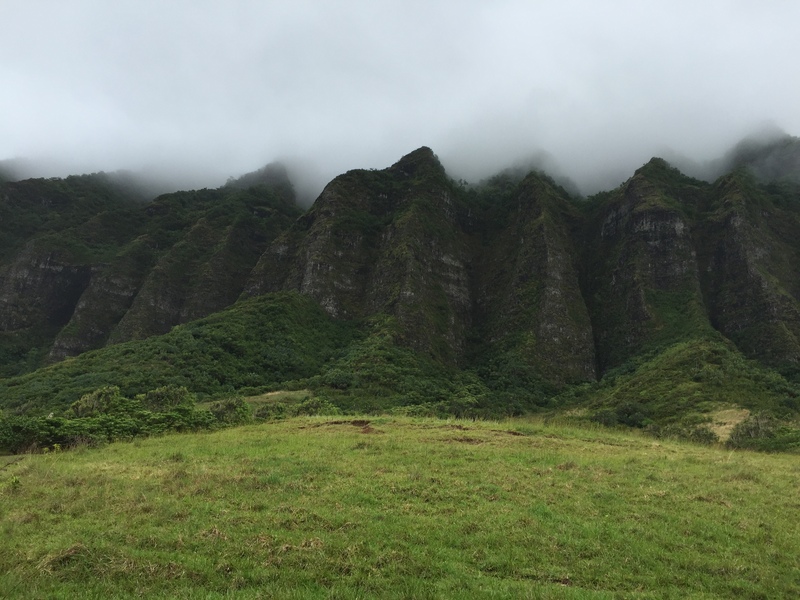 Kuoloa Ranch is the place where Lost, parts of Jurassic Park and other movies were shot. Is it worth the trip to check out the movie sites? Not really. Is it worth the view of the scenery? Always. Look, Godzilla joined us, too. 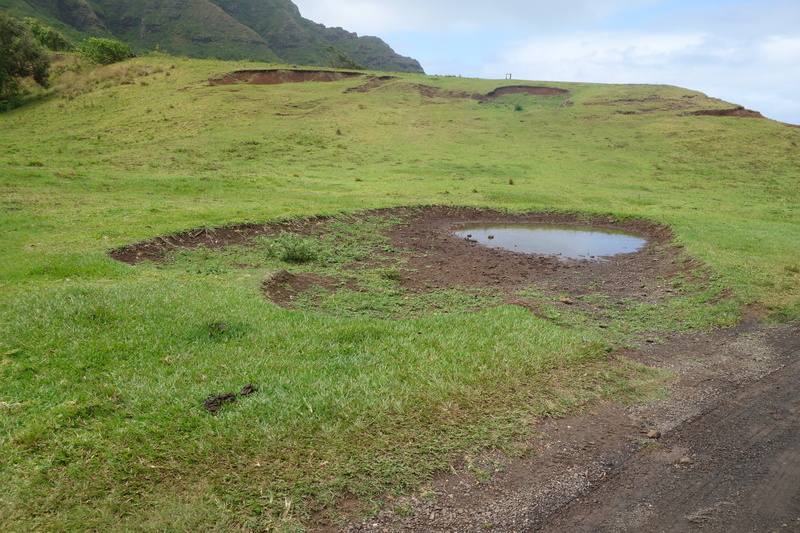 If you look in the middle, you can see a turtle masqueraded as an island. 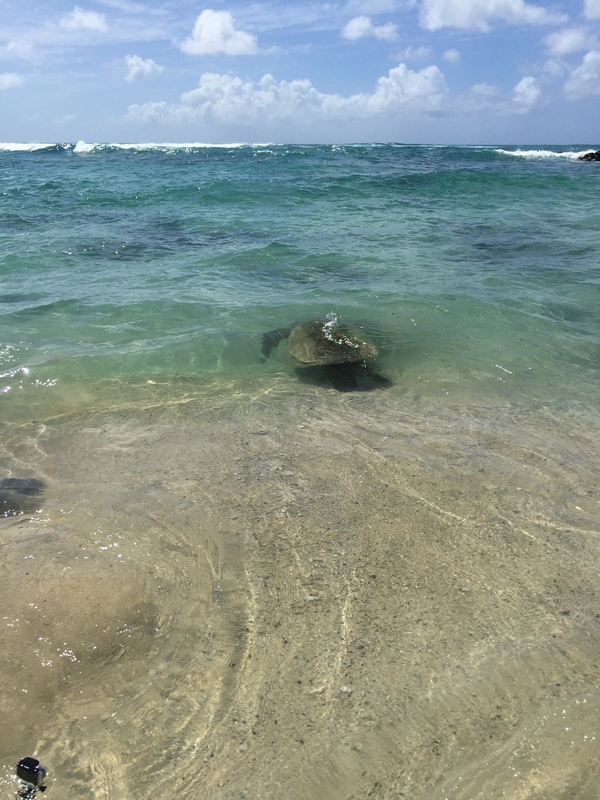 Laniakea Beach is known for the green sea turtles. It’s a maddening tourist show. According to the volunteers, 3 turtles tried to leave the water for hours to digest but the crowds were so self-involved and busy with their selfie sticks, the turtles were never able to leave. I admired the tenacity of the volunteers, constantly screaming at people and educating them about the rules. Just to be ignored. One early morning, I drove out to Dillingham Airfield for a quick hike. 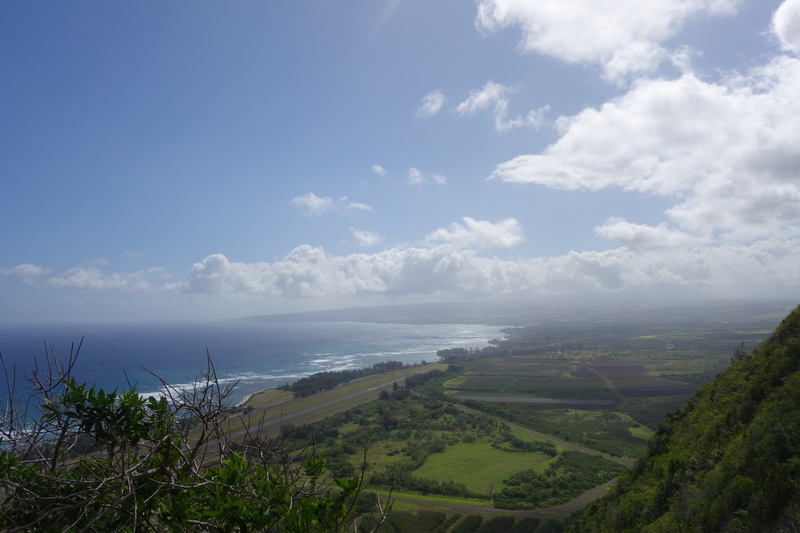 It was wonderful to observe the small airport operations while hiking up the steep trail. The view was worth a little fall I took, including bruised foot. 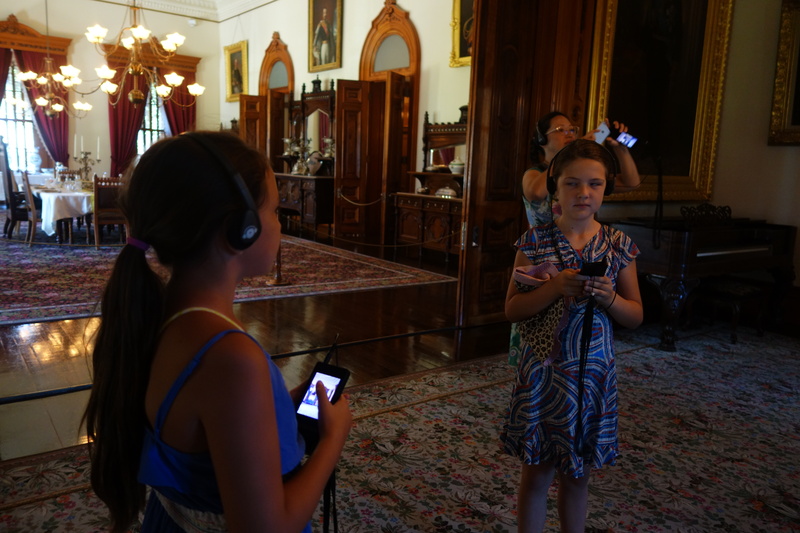 One afternoon, we visited the Iolani Palace. Unfortunately, the Queen and King were nowhere to be seen. When it comes to palaces, it’s a rather small place. 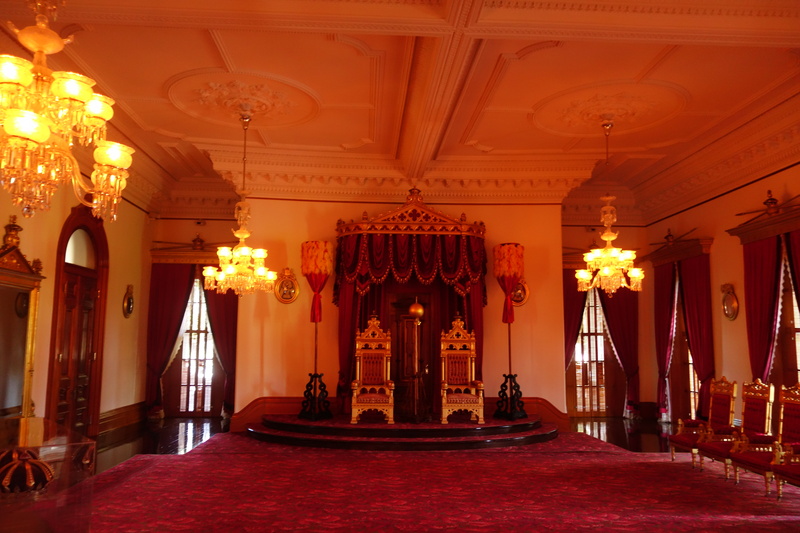 It was nice to roam the restored palace and breathe in history. 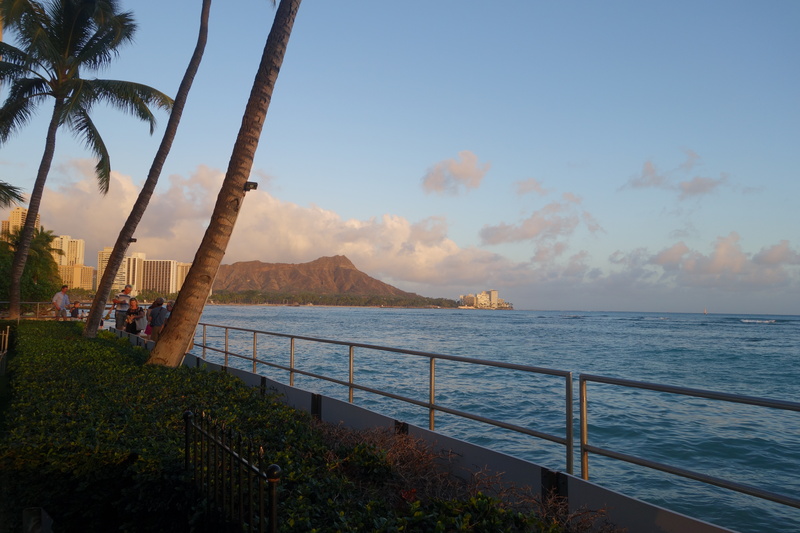 This called for a sunset drink at the Royal Hawaiian Palace. You definitely pay for the view. 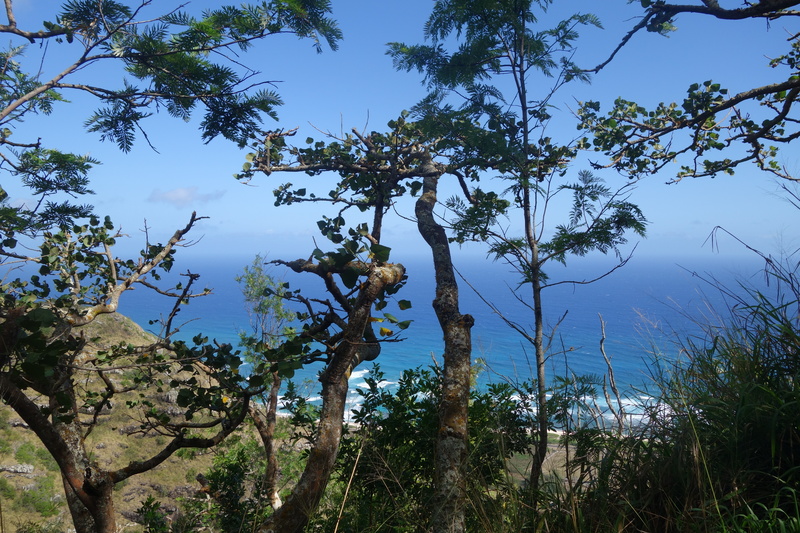 On our last day, we hiked the Diamondhead Trail, one of the most visited places in Oahu. 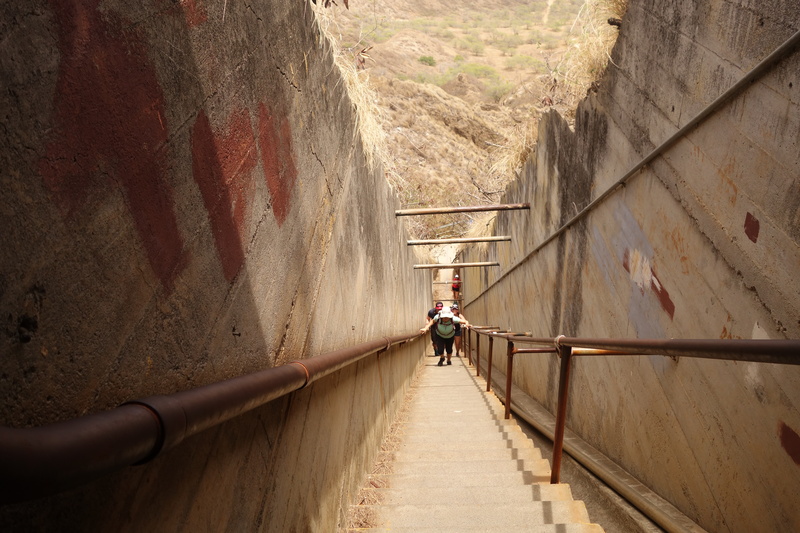 It’s an easy trail, besides these steep stairs. 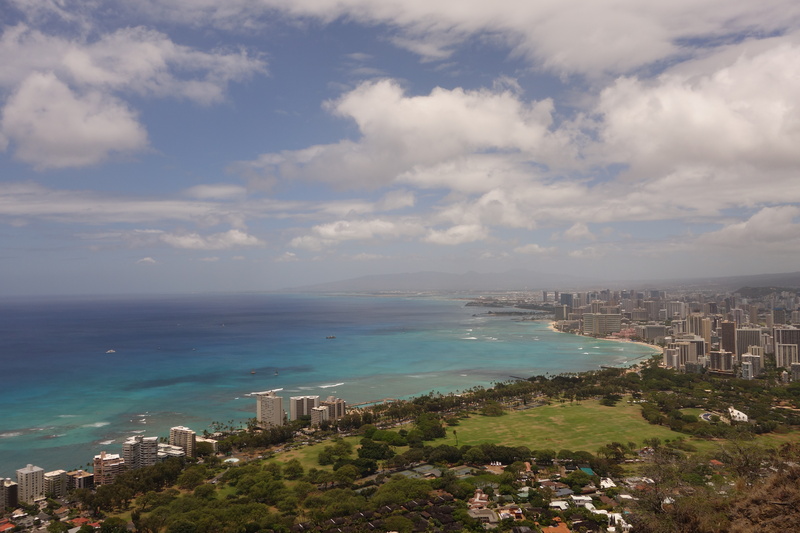 One last look at Waikiki Beach. 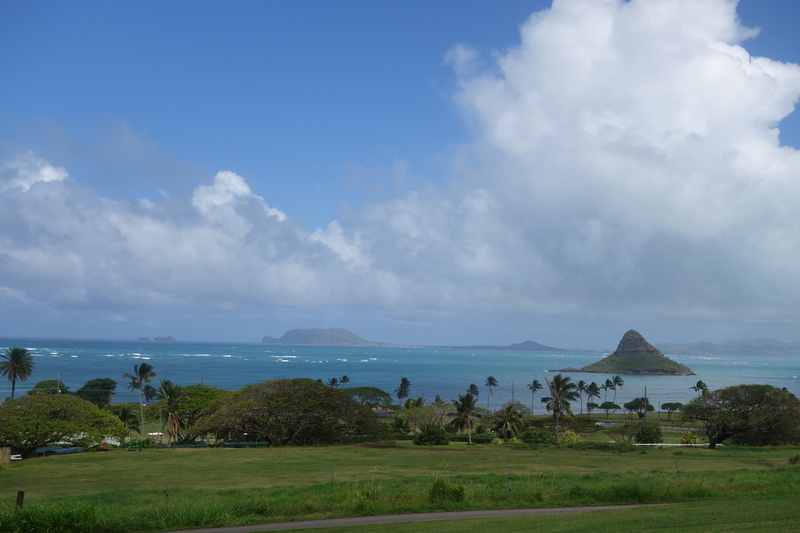 One last appreciation of our time in Hawaii.